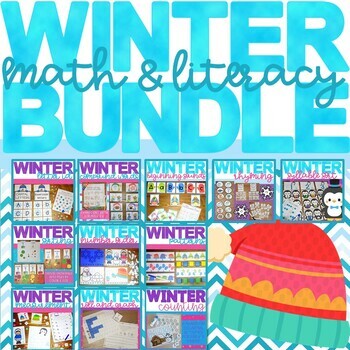 This is snowy pack is FULL of engaging winter themed math and literacy activities that your students can enjoy all season long. There are activities for 11 different skills making it easy for you to provide practice for all students in your classroom. These activities are great to use during centers, whole group instruction, small group, or as morning work.